Why beginners don't learn the basics first? Disclaimer! If you feel that I'm unfair or too harsh, I'm sorry, I don't want to come out as an arrogant jerk but that's unfortunately how I tend to come out. Their .blend file tend to shows that they are lacking fundamental skills and practice on basic 3D model construction and on how polygons are arranged to form even the smplest shape. Hit "unwrap" once and call it a day. Outright refuse to edit their model directly. What's the deal there, I don't get it, the first thing I did when I started with blender was to head to https://www.blender.org/support/tutorials/ and went through the "Blender Fundamentals" (the equivalent we had back then) no matter how dumb it made me feel. What you describe here is the main reason I gave up teaching anything (the other ideas are that being a teacher is not enough to play a pedagogical role, and that I'm still learning ). For the other persons : you took the right direction ! To be fair, many tutorials on YouTube for Blender don't make low-poly mesh with SL in mind. One of the first I saw was for a ball bearing which went into an engine - with every thread on every bolt meshed. It may not have been for beginners as such, but at the time that was one of the first hits I got. I'm still by no means any expert. I approach Blender the way I was taught to do maps for games in GTK Radiant in the early 2000's, with a lot of influence of drawing plans for woodworking as that's something I've worked with. I freak out when someone suggests I eyeball something - I want to know how many millimetres every edge is, and want everything to be tidily on the grid. Works great for most projects I do (usually simpler construction components for my building projects), but not so much for designing accessories. Blender does have a very steep learning curve at the start, and going between SL and Blender the basic camera controls can be very difficult to work out - and if you're new, simply pushing a hotkey that 'magically made everything vanish' or 'look different' can be really frustrating. I've been there myself many times - and I get it; once you get the ball rolling and ideas start popping up as you go along, the simple shelf you were going to make has suddenly become a small castle (I once made a castle in GTK Radiant - it had 4,562 merlons and I crashed my clan's server when I tried to change to that map). 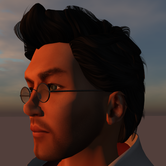 As for UV mapping, again - when you first open Blender, most people expect that they'll at least get a coffee mug out of it; but with meshing, UV-mapping, shadow baking, and texturing, whilst still not knowing what a tenth of the buttons on your keyboard will do in Blender, well, people will export a high-poly, light grey mug and call it a day. And it's not easy to find answers to problems you may have if you don't even know what 'that thing that is being weird' is called. The first time I had a normal facing the wrong way I got so frustrated that I couldn't come up with a rational thing to look up and thought I'd have a stroke from how upset I was that the hours I'd spent on that thing were 'wasted'. Since then I've used the 'flip normals' method of putting everything right, which may take a while - I didn't know there was a nifty 'recalculate normals' button until a few weeks ago. I get your rant, I agree with what you say - but then again, even something as 'simple' as statistics is far from apparent to anyone who hasn't been taught how to properly read it. People are fundamentally lazy, especially the millennial generation expect to just do great at whatever they try. For me, it's just yet another SL-related hobby. I applaud those who have the skills to put high quality stuff in SL that I can purchase and enjoy, but I certainly don't count myself as one of them. To extend your rant though, I'd like to touch on people who claim their products have 'materials', when all they've done is slapped a blank, white texture in the specular layer and made their denim trousers look as if it was made out of PVC. Or people who insist on using 1024 x 1024 textures on absolutely everything, regardless of its size. Or people who still ship their products in prims that you have to rez and open, when there are free unpacking scripts and the process of turning a prim into a HUD is as simple as attaching it to your HUD and detaching it again. There are so many things that appear so simple when you know the right way to do it - or at least a better way. - Want to make clothing with no clue about 3D modeling of sort whatsoever. scream or giggle at this, whatever tickles your fancy. .. .. .. There was a comment made in a group yesterday, i can't remember it word for word but it went something like this. I recommended someone learn to retopo as a priority because they were trying to work on a horrible triangulated MD mesh, and to top it off, had already applied a solidify modifier to it. The response that came back was "yes i meant to do that years ago when i was learning mesh but if i had spent time to learn everything i needed to know i still wouldn't be making mesh". I started to develop a small bald patch on the left hand side of my head, and my forehead was becoming flattened by the brick wall from trying to help with understanding at times. I am finding peace, and my hair is growing back now that i ignore most IM's and snooze group chats most of the time. I think you identified the problem. When people 'learn mesh' for Second Life they are already in the mode of what they want for in world, and that is the main problem. I did it myself, and my partner tried very hard to get me to erase SL from my process entirely and learn to mesh, I still do not mesh properly not even close, everything I ever create is some sort of 'cube with benefits'. I know that that is the wrong way to approach it, but because I know this, I haven't made anything in a very long time, as I have not had the time. It is like PS you can learn all the different parts but making them come together, sometimes it can take a while to get them all to click, and many don't have or want to commit to that time line, they want instant gratification because they see everyone else getting it. Another big reason for big errors are people learn from others already doing it incorrectly. SL changed a lot when mesh came about, the helping of others is epic now, where as before mesh everything was a secret in many designer circles, once mesh came about suddenly everyone was helping everyone else and it was great, but the basics many know are only what they were shown for Second Life use, and if wrong they just continue to do it wrong, because they have just kept propelling forward, not gone back and learned more. One thing I personally love is fixing UV's it is like some kind of crazy stressful puzzle, I can turn a pretzel into a square and be so excited with myself, because then making a texture for it is simple. I love doing that, even if I am not a 100% fantastic at unwrapping though, I fix as much as I can. I was working with another creator friend, one that learned from others, a clothing creator, she was showing me her UVs for a dress a basic tube dress and the UV was insane, had about 15 different pieces all over the place, and I asked her why she did not fix it, and she honestly did not know she could, she thought what you unwrapped was what you got and that was that. Everything else that was already said is true too, there are so many mesh tutorials, but they are for different uses, so even if you commit to that kind of learning you often cannot wrap your head around where to use them and how to use them for SL. I personally wish people would use sites such as Udemy and put some proper SL courses up there, it would be a good income for some and would be the go to for many, but I also understand setting up a payed for course is not that simple, and people that do mesh for Second Life have their own time limitations to work on their own things. I pointed this out in another thread. There aren’t many tutorials that apply to making certain things in SL particularly clothing, which happens to be the biggest offender. And no, pointing them to a tutorial on how to make a box isn’t going to help them. A lot of tutorials are tutorials on how to make pretty high poly renders. Telling someone to “git gud” isn’t going to make them improve or use the best practices. Why? Because they don’t know what the best practices ARE. They’re going to use the quickest path to an end result. Someone asks how to wear a mesh body, four pages of answers. Someone asks how to do something in Blender, “git gud”. Somethings wrong with that picture. Until someone makes a series of tutorials that is complete and teaches the best practices, things will never change. Complaining about noobs is just going make them stop asking questions. And then there are people who have the knowledge but aren't good teachers, or understand the theory but don't have the practical skill or patience to actually make something from scratch to completion. I'm one of these people. But making a box IS going to help them. Getting comfortable with the base polytools means that they can actually "work" on a model outside of MD or mudbox instead of being afraid that if they touch it it's gonna explode. I never said people should just "git gud", I'm complaining that folks are unwilling to go through the proper steps to acquire a solid base of skills that will make them good modelers because that takes time and they want to sell shoes now and not in 4 weeks. And yes, the "quickest path to end result" is the problem. You can make all the tutorials in the world, the only people who are going to go through them are those who are eager to learn. blender.org is full of them and there is now an entire class on the topic (you do need a subscription tho) Blender for Beginners: Game Asset Creation. But as janetosilio said, we can't blame the majority of mesh makers. Most of them are trying their very best. The problem is that they are led to believe SL mesh is much easier than ti actually is and there is no adequate dosumentation and so much misleading info. Until someone makes a series of tutorials that is complete and teaches the best practices, things will never change. I think I've mentioned this before. I'm a qualified teacher and I would have loved to write a comprehensive SL mesh manual. But it would have to be as a paid job simply because I don't have enough spare time for it. As far as I understand, that applies to everybody else who could have done it too. Linden Lab is not interested (yes, I have asked) and as for crowd fundng, we may be talking something like 10,000 USD here - maybe more - and I can't see that happening. Yeah, I understand that. I’m trying to get you to understand a couple of things. “How to make a box” is figurative. Let’s not get literal on that. What it means is sure, there are tutorials on a variety of subjects as they pertain to Blender, but they may not readily be applicable to how they relate to SL and why you need to do them. So I’m cheekily pointing out that by saying it’s “How to make a box.” Because what might be simple as 123 to you, might appear to be as irrelevant as a show off speed tutorial to someone else. Yes, you and a couple of people ARE implying someone that asks a retopo question or whatever else “basic” question they are asking should get good. It may not be your intention, but it may come off that way. Lets look at it another way. If they figured out how to make something in MD or ZBrush or what ever program is considered a scrub program here, they have some level of skill. The problem isn’t with using x program. It’s that there is a lack of a bridge between those programs/Blender/SL. No, you can make all the tutorials in the world, but if you don’t make the right tutorials or for SL the right Series of tutorials for the application the problem will continue. There is a difference between knowledge and application. That’s what I’m pointing out to you. There’s a wealth of tutorials that give knowledge, but nowhere as many tutorials that demonstrate application particularly as they pertain to SL. Its not as simple as, “Why don’t people learn the way I learn?” It’s pretty obvious that if someone ends up in a group chat or posting in a forum with questions, they’re eager to learn and they’re attempting to do something. Its possible that they got as far as they did with zero knowledge. I doubt it. So you shouldn’t assume they need a tutorial on basic Blender functions. They need to learn how to do the function they are attempting.....or maybe there is another way to do it. So when I see posts like this, and then I see posts elsewhere that say all the creative people are leaving SL, I think no they aren’t, they’re trying things...new things and using programs that people are not as familiar with. A bridge is needed that isn’t there. I know trying to explain Blender to someone is like explaining linear algebra to someone who isn’t a mathematician, but someone has to do it. That needs to happen and you absolutely can’t be discouraging to someone making an attempt. Which is what you are doing. It may be as simple as starting a YouTube channel and collecting the ad revenue. Obviously you wouldn’t do a full series all at once. Maybe something that starts off with a few how to’s then as you gain subscribers and viewers then start going in depth. It would pick up steam and generate more ad revenue over time. People love a good tutorial and many of the better ones already have SL questions in the comments, so it’s not like there isn’t a large number of people that wouldn’t be willing to watch them. I'd like nothing more than people asking questions about actual retopo and I'd gladly help. They are not scrub tools, and they are fine to use as part of your workflow, the problem comes when people believe that once it comes out of those tools, they are "done". These are great design tools but they are not going to produce game ready models (I would have abandoned Blender a long time ago if that was the case). SL is not a special beast, it's a game. Sure, SL has a few quirks and gochas but the vast majority of the methodology and skills used to make assets for unity, unreal engine, or any other general purpose game engine will be the same. My rant was mainly because I see a lot of beginner SL creators lost in insanely elaborate projects who lack a lot of basic skills that they absolutely need to carry out that project properly. A lot I've heard claim "I'm not a professional, I don't really care". To me that's like saying that just because you don't intent on becoming a pro tennis player, that you don't care about getting better at it. Again programs are not the problem, they are just tools, I've seen artists do absolute masterpieces with mspain. It's not about the tools, it's how you use them. To use a similar analogy. While you can try to teach statics to a student with minimal math knowledge, there is only so much you'll be able to make them understand while weaving around the gaping holes of trigonometry (or lack of). I get what you’re saying. I’m just pointing out to you, your gripe isn’t all that helpful. If it’s just a gripe, eh. It’s more discouraging than anything. We could all learn a little more about Blender. There’s a guy that posts a lot of technical opinions on here that didn’t even know you can change the mouse buttons in preferences. I’ve seen people ask a question in a group and get dookied on, when....that’s the purpose of the group, to ask questions. Griping about someone’s lack of skill just. Isn’t. Helpful. They’re going to find another way to do it and that way is usually going to be someone’s high poly tutorial from YouTube. So again...someone asks a convoluted question about Maitreya or a catwa head....four pages of answers. Someone asks a convoluted question about Blender....git gud! Through discussing it (what we are doing), we can maybe have a better understanding (I only named a few of the issues I see out there routinely) and how we can solve this problem. Besides, I was thinking more about a comprehensive manual that free standing tutorials. Something not too unlike the fairly decent lsl manual we have. I think that's an important point here. It doesn't matter how well you understand and can handle the tool you use if you don't know what you need to achieve with it. Thats not how monetizing YouTube works though. We aren’t really talking about “quit my job” money, at least I’m not. Like anything social media related, it’s going to take time and content. You need 1000 subscribers to monetize. You absolutely can get sponsors on any kind of content. Sponsors don’t care about content, they care about how many people are watching your videos. People that have SL content already have thousands of subscribers, so there is a market. So making a series on how to would absolutely net you a base and eventually....money. Just to put it out there and embarass myself a little bit, but people are willing to pay for help in learning mesh, and in some cases (me) they pay over and over again. To date I payed three different times for Digital Tutors once even yearly thinking if I did that then the pressure would be off on monthly and I would use it...nope busy year that year. I have payed for the inworld courses by designers that had other designers endorse the courses, I think that was about 20K, still have never done the courses, again no time and I forget about them until this post, because it is something privately done by Second Lifers not YouTube or something I see enough to poke my memory. Then I did a sculpt course back in the day and that guy who trained many made a killing, every big name did that course and there were levels that grew and grew so they spent almost 100K each. So the willingness to follow, to spend and support is there, not by all obviously, but probably enough to grease the wheels. I think honestly some information on what is bad, what does not work and how to maybe change the story is as important as a lesson in how to make something and rather than it sitting in a forum most do not even know exist, maybe put that on youtube and spread the word, and even if it is basic info of what tools you use, how your desk looks, how much time it takes to make something, you do not have to have a lesson plan in place, but some stores now use twitch to stream them making stuff, people watch and maybe pick up a few things here and there, maybe consider doing that when creating so people see you don't hit smooth fifty five times and upload. They are but people are impatient. They want to try bigger and better things. Development in SL is a lot harder these days than it used to be and you are already surrounded by high level of competition as well as the sheer learning curve required to do most things that result in an end product. People want to get good and they want to get good quickly and they see all these "amazing" models on marketplace, in world and think "Damnnn I want to create like that" and so they start learning mesh as a beginner. They follow tutorials that teach them the basics of blender and start forming ideas of what it is they want to create and thus a high poly super complex mesh developer is born. especially the millennial generation expect to just do great at whatever they try. I just wanted to say how informative I've found the information in this forum, but some of it is really really hidden. There have been times when I've just sat down and read my way through, say, Drongle's entire posting histories hunting for those nuggets of information. And when I eventually find it, usually the pictures are missing. If I were to ask for inworld help, I don't think any of the inworld groups are really set up to answer questions like "What exactly do you mean when you say specularity is the inverse of reflectivity? ", or "Does it really matter if I normalise my normal maps to <127,127,255>, instead of <128,128,255>?" (Drongle said not, but since the pictures were all missing, I couldn't work out how to replicate his results). EDIT: Also, just to let you know, I'm a millennial. That complaint is beneath the dignity of anyone capable of posting on here. Very very few millennials are in SL. One should not mind other creators making one or more of the above mistakes, because, theoretically, this should put anyone that is mindful of such issues at an advantage. The Flickr audience can't see and does not suffer from massive poly/bad UV/coplanar/loose and missing stuff/lag/low fps/messed-up UIs/etc. I'm talking about the increasing market for backdrop sceneries and 20+ LI chairs and tables. The number of furniture and props that don't exists for every day use in SL, but instead, solely for Flickr picture taking is rising mightily. You'd think it would lower given that flickr now restricts you to 1000 pictures on free accounts or something. The problem is that the answer i typically give is not the answer anyone wants to hear. How many polygons? As low as you can get away with. How many textures and how big? As low as you can get away with. But I can't change the mindset that people have creating content, their fear that if they compromise on anything their customers will go away. It's compensating a perceived lack of quality with the belief that "more greeble" will counter that. It's fostered by environments like SL and the Unity asset store, no one who "matters" is going to tell you that what you've made is not good enough and has to be remade. It's something you learn in a game studio, or even in an informal amateur team, coders will hit you with the book when the framerate drops down. It's something difficult to learn when there is no actual target excepted two metrics (complexity and LI) that can both be gamed through practices that both lead to a worse model. Linden Labs intent on fixing this but this is going to take so much time, if it ever happens in the end. If you look at references from AAA games, sure we don't have 4K textures in SL but despite that our avatars and props are so completely off the mark that having those good practices out there tells nothing to a beginner when a popular mesh avatars rack up 100K to 1M triangles, when the average game character is in the 20-30K triangles range. We also have a big gacha market now that build up a "cult of gorgeous clutter" where it's simply not good business for the content creator making them to design them as a real clutter object. To paraphrase one of my favourite indie game developpers: They are making game art that is not game art. These models have more to do with portfolio pieces than game assets intened for actual use (And the Marketplace is the best portfolio there is). It would most likely be acceptable if they where sold as a "pack" of background objects, but through the gacha model, each piece has to be a sherished prize, even if it's as humble and as prop-like as a stapler, a box of crayon or a pack of chewing gum.